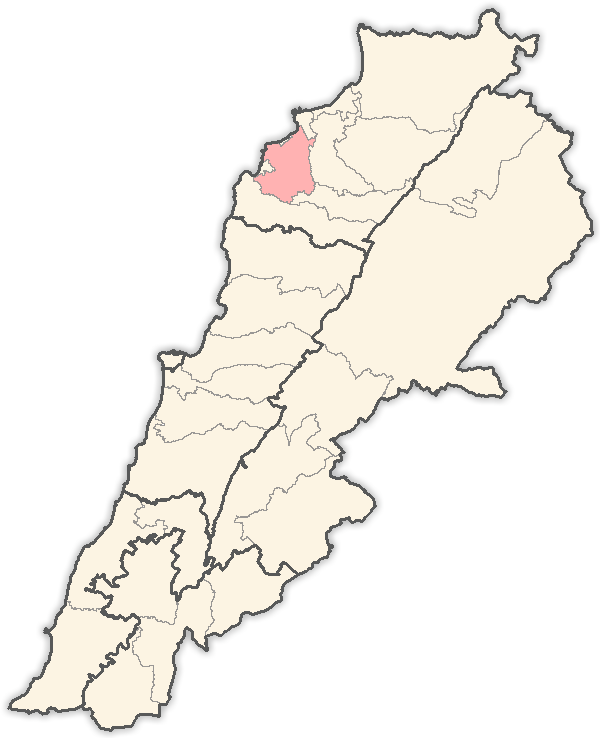 Bdebba is located in the district of El Koura in the North governorate of Lebanon. Altitude 290 meters above sea level. 70 kilometers north of Beirut. 5.5 kilometers east of the mediterranean sea. 10 kilometers south of Tripoli (Trablous) Lebanon 2nd largest city. Surrounding villages are: ﻿Bterram, Aaba, Batroumine. Most of the land is planted with olive trees. Bdebba meaning in Syriac is the house of the bear (مأوى الدب). Indeed, the word Bdebba is formed of two parts "beit" means "house" (مكان ) and "Dibba" means "bear" (الدب). According to Dr Aksam Merched, this etymological analysis can be supported by archeological finding in the area. Indeed, an excavation by a team from Tokyo University Scientific Expedition to Western Asia in the Keoue area, a river bed that separates Bdebba and Bterram, and the artifacts found led to the conclusion that the occupants of the site were probably big bear hunters using small points (Read more details). Bdebba has ancient caves and sarcophagi dated back to the Phoenician period and ruins from the Crusades era. There are also a Greek Orthodox church and a monastery dedicated to Virgin Mary. Copyright bdebba.org. All rights reserved.